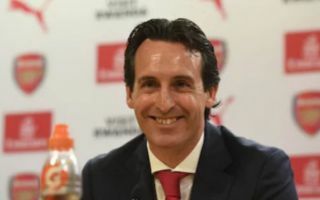 Arsenal will be hoping to enjoy a positive start under new boss Unai Emery next season, and reports claim that the Spanish tactician could be set to continue to strengthen his squad this summer. Having replaced Arsene Wenger last month, Emery will be tasked with initially getting the Gunners back into the Champions League after missing out on Europe’s premier competition for the last two seasons. In order to do that, the defence is arguably the area in which they must strengthen after conceding 51 goals in 38 Premier League games last season, giving them the worst defensive record of the top seven sides. Emery has already acted by securing the signing of veteran right-back Stephan Lichtsteiner on a free transfer, but reports claim that he could be set to add two more additions in that department. As noted by The Sun, the agent of £35m-rated Freiburg defender Caglar Soyuncu has been speaking about his client’s future, dropping a major hint that he could be bound for north London. The 22-year-old moved to the Bundesliga in 2016 and has made 55 appearances for Freiburg over the last two seasons. Further, he has represented Turkey at several youth levels while now earning 15 caps for the senior squad as he looks to have a bright future ahead of him with Arsenal potentially helping to take his game to the next level. Meanwhile, Sport claim that Barcelona starlet Joel Lopez has told the Catalan giants that he will leave the club in favour of a move to Arsenal. Still only 16, it’s highly unlikely that he’ll become an immediate starter at Arsenal, but as seen with previous deals to take the likes of Cesc Fabregas and Hector Bellerin away from the Nou Camp, it could be a sensible move for the youngster to secure regular playing time and develop his game. With Nacho Monreal now 32, coupled with Sead Kolasinac proving to be injury prone last season, it could be a wise long-term move for the Gunners.